"I am truly a creative. I start from a creative space and not from an activist space. I am like the most reluctant activist you will ever meet." I still remember the day clearly, back in April on Freedom Day (in South Africa) where I was due for an interview with filmmaker and author Wanuri Kahiu over Skype. But what the both of us could not have anticipated was that she would wake up to find that her film, Rafiki, had just been banned in Kenya. 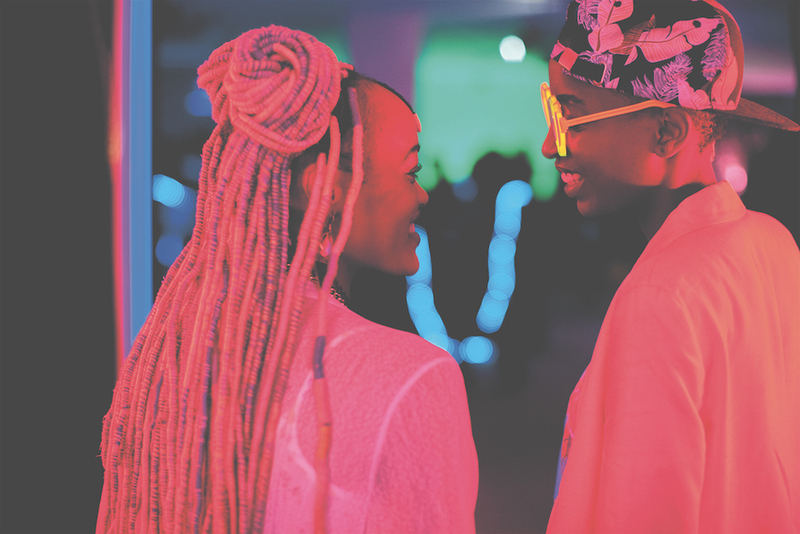 The film, which made history by becoming the first Kenyan feature film to premiere at Cannes Film Festival this year, is a love story that follows the lives of two lesbian women. The film was inspired by a short story by Ugandan writer Monica Arac de Nyeko called Jambula Tree, where the women have to choose between being safe or defying conservative rules. But last week, as we pick up where we left our Skype chat in April, Kahiu sounds more upbeat even though the film has not been unbanned. “It stays banned completely, including the posters,” she says. Kahiu is continuing to showcase Rafiki at film festivals having recently screened it in Ghana and at the Durban International Film Fest last month. She says the LGBTI community in Kenya is very marginalised and people generally keep quiet about their sexuality. “It’s harder if you have less money, period. So, if you’re middle class and you’re gay, you can kind of live a relatively easy existence. But if you’re not, then it’s a big issue because the community can attack you and it happens quite often. It probably happens more often than we know because it’s just not reported on,” she says. It was not the political nature of making the film that attracted her to the project. If anything, Kahiu who is pioneering Afrobubblegum as a movement towards African art that is fun and frivolous says she was drawn to the story because it was about love. “I am truly a creative. I start from a creative space and not from an activist space. I am like the most reluctant activist you will ever meet...Ask my lawyer,” she says with a laugh. “I just really loved Jambula Tree. I really loved the book and I wanted to turn it into a film. For me love is love, you know what I mean? I wasn’t thinking too much about it. I really loved the love story and I wanted to make it into a film”. What is interesting is that although the film is banned, the book is still freely available in Kenya. The film has garnered worldwide attention, resulting in messages of support for the film’s screening in Cannes earlier this year from celebrities like Lupita Nyong’o and Kerry Washington. Kahiu adds that being in Cannes was an amazing experience especially because she got to meet Spike Lee and tell him how much she appreciated his work. She mentions that she also got admitted into as member of the Academy of Motion Picture Arts and Science, which means she gets to vote at The Oscars. But having decided that she wanted to be a filmmaker at 16 before working her way towards her dream through internships and even going to evening adult film courses before winning a scholarship to UCLA, Kahiu is unphased. If anything she is focussed on growing the Afrobubblegum movement, which she explained in a TED Talk last year. 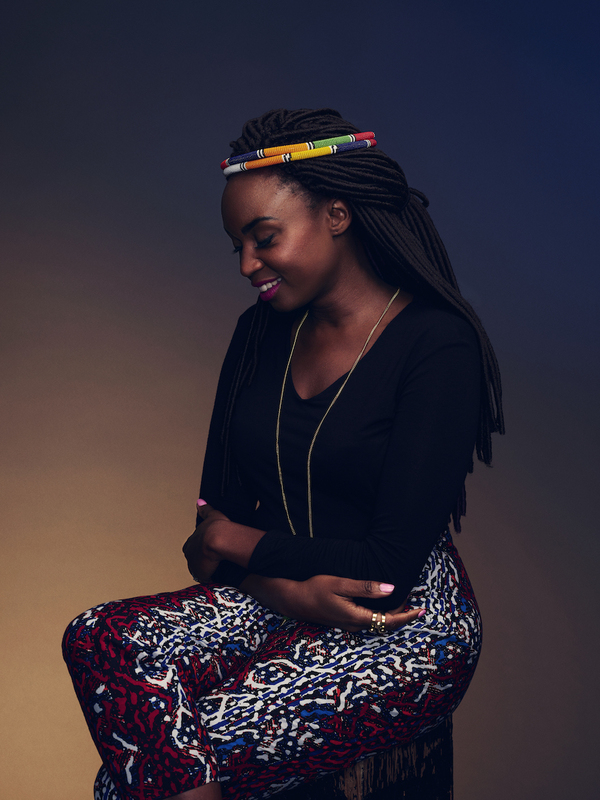 Transcript of "Fun, fierce and fantastical African art"
TED Talk Subtitles and Transcript: We're so used to narratives out of Africa being about war, poverty and devastation, says TED Fellow Wanuri Kahiu. Where's the fun? Introducing "AfroBubbleGum" -- African art that's vibrant, lighthearted and without a political agenda. “My work is about Nairobi pop bands that want to go to space or about seven-foot-tall robots that fall in love. It's nothing incredibly important. It's just fun, fierce and frivolous, as frivolous as bubble gum. She’s written six films, a children’s book as well as short story with science fiction writer Nnedi Okorafor that they are currently adapting for the screen.